In November last year, Spotlight opened a branch in the western part of Singapore and it's not too far from my home. I went to the shop hoping to use my "spend $100 get $40 off" coupon. 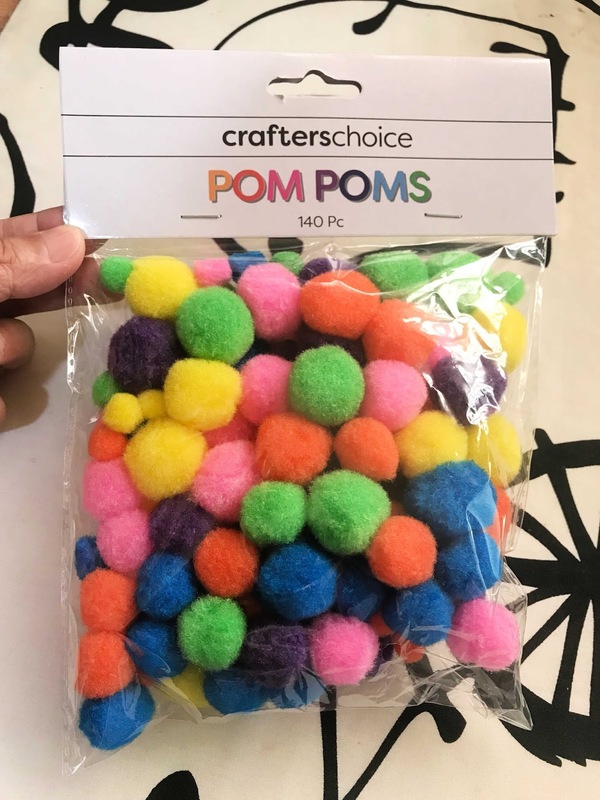 Shockingly I couldn't find anything to buy except this bag of pom poms. Why did I buy the pom poms? Here's the thing. 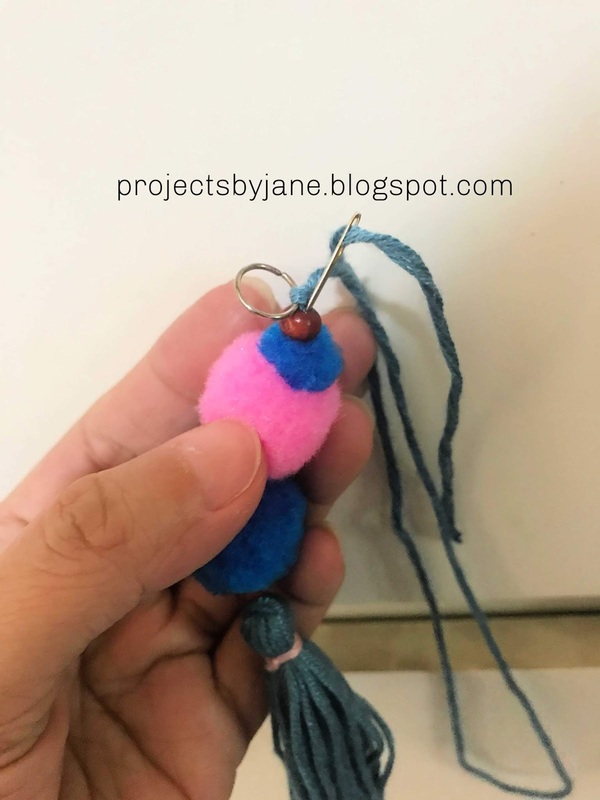 I really hate to make my own pom poms. 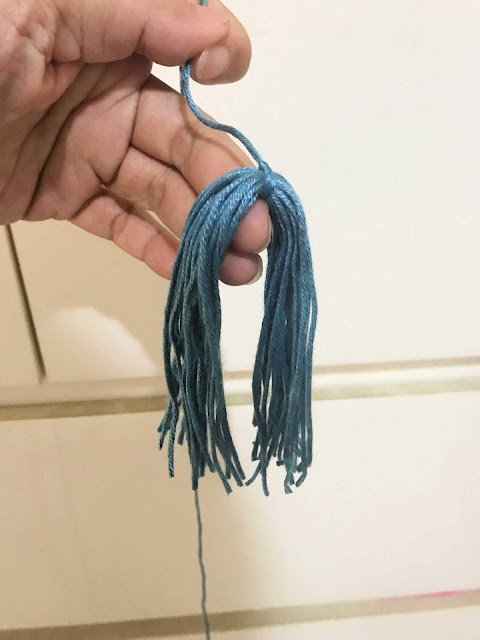 I think it's a huge waste of yarn and most importantly, I get no joy making them. Plus it's cheap. But the bag of pom poms sat in the drawer day after day because I guess I have no need for pom poms. 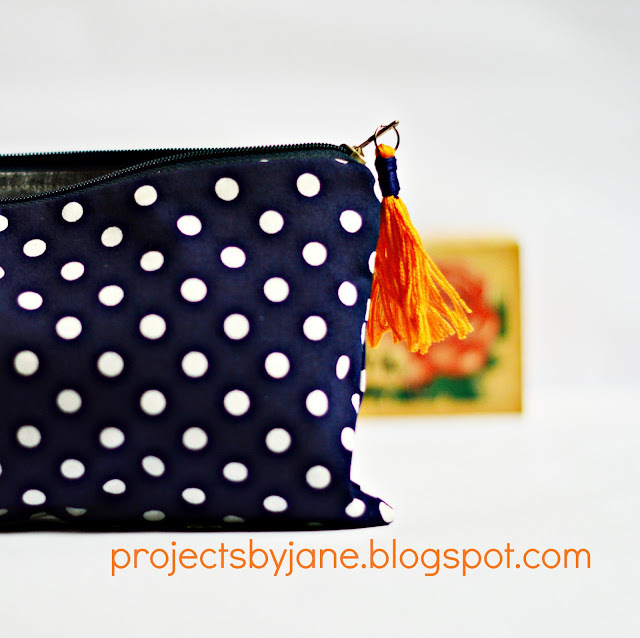 Well until today when I decided to make another accessory for a zipper pocket to justify the purchase. 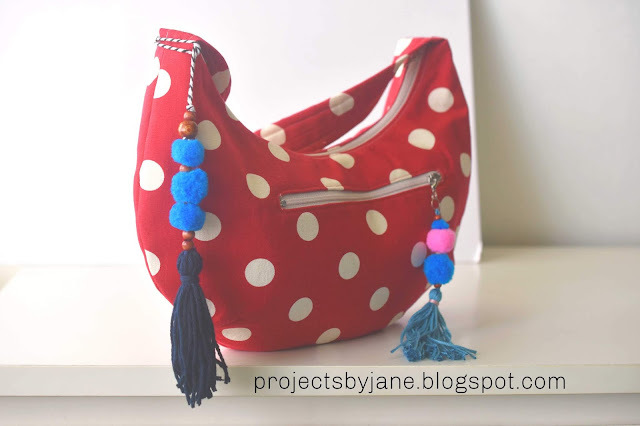 Remember this tassel tutorial I made in 2015? 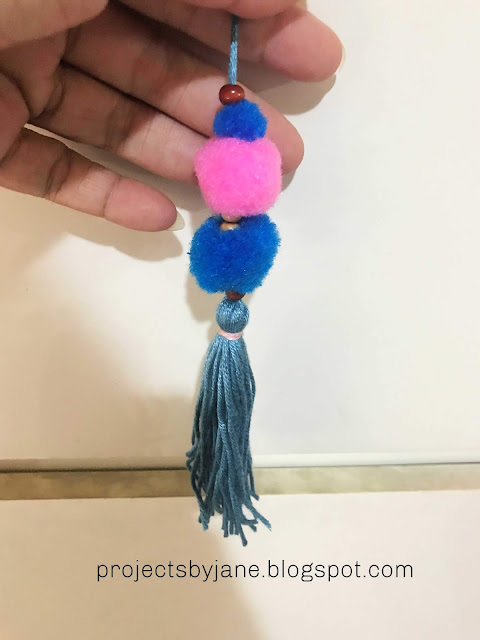 I thought I'll marry pom poms with a tassel. If you don't know how to make a tassel, you can refer to my tute. 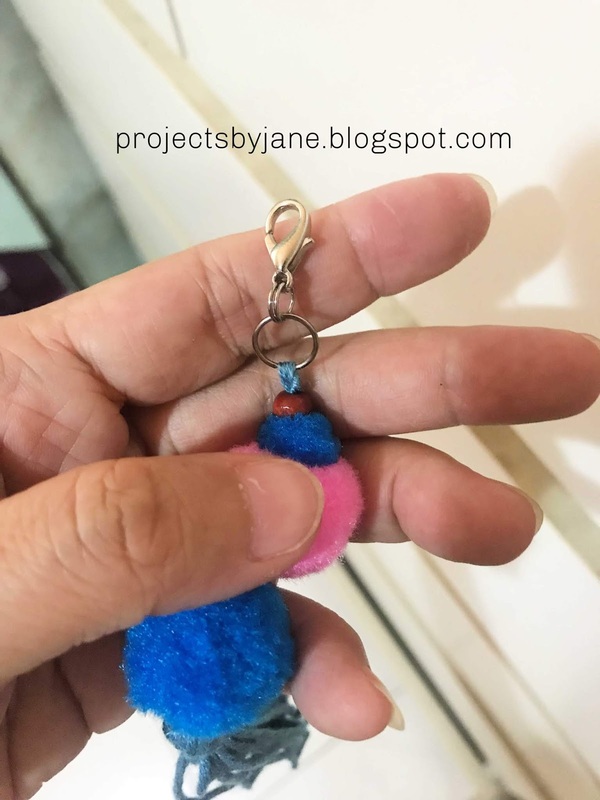 If you want to make your own pom pom, google pom pom tutorial. I'm sure you'll get at least 60k hits. 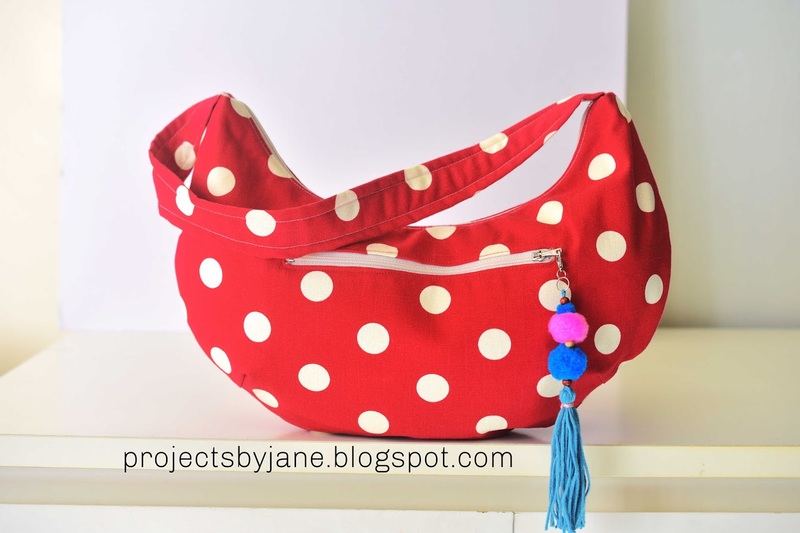 I tied the middle with a thread which I will use later to piece the pom poms and beads together. I have a lot of beads which need to be made into something. Put the pom poms and beads together with a thread and needle. At the top, I attached a ring, sewed a knot and hid the ends. I used a lobster clasp thingy so you have the option of removing easily. 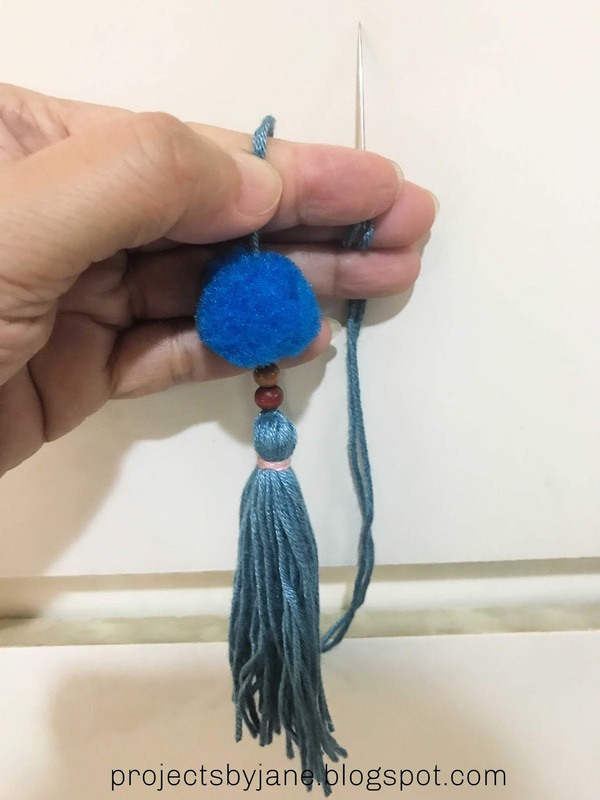 The only issue with using store bought pom poms is you can't use the exact same colour yarn for the tassel. I made another pom pom tassel thingy - this time I attached it to a rope. I now have 134 pom poms left. 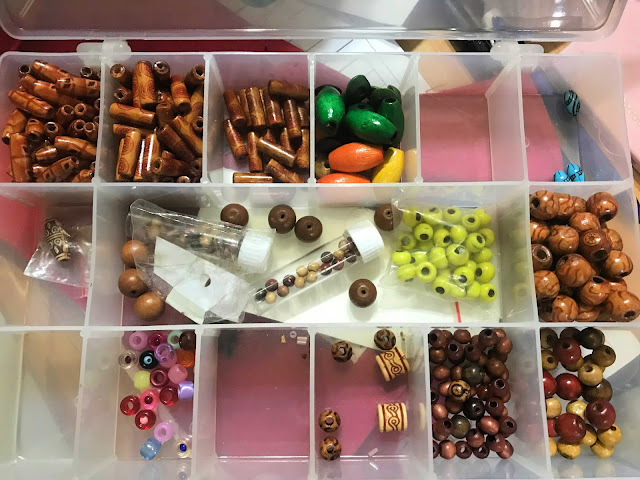 What else shall I make? p.s. 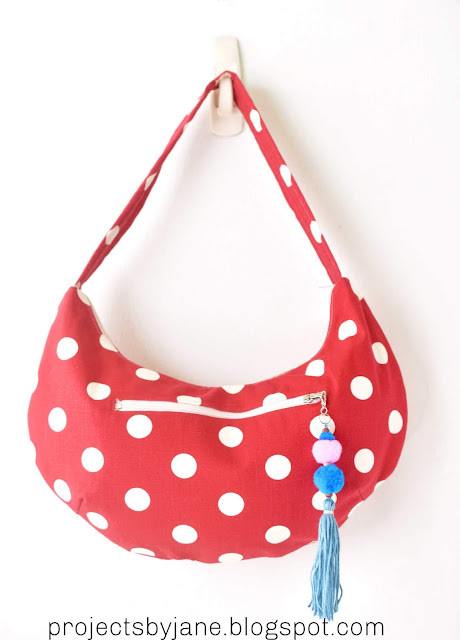 Crescent Bag Pattern available here. It looks like you are having fun, playing. 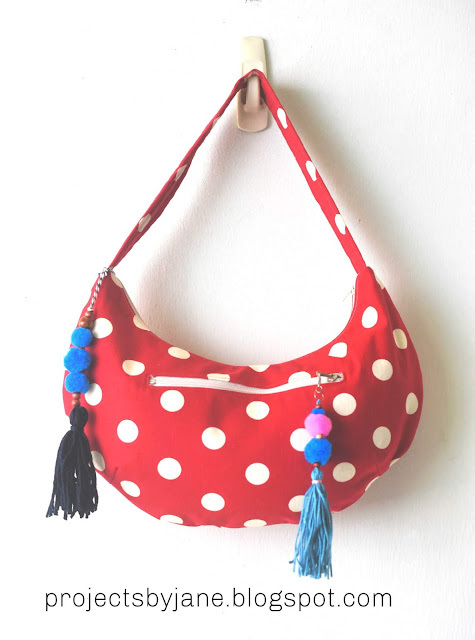 Those are cute accessories for your accessories.